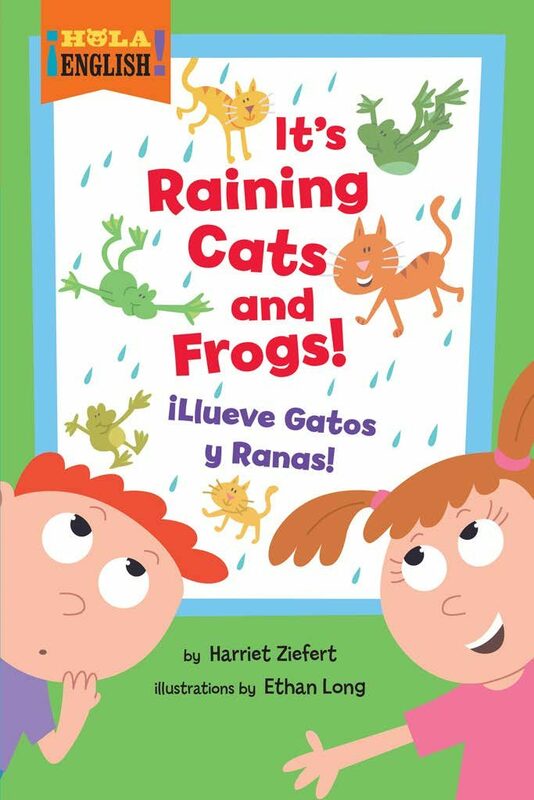 It’s Raining Cats and Frogs features plural words and idiomatic expressions. It explores the difference between real and pretend and engages young children in selecting appropriate clothing for wet weather. This bilingual series will appeal both to Spanish-speaking ESL students and English-speaking kids who are learning Spanish. Esta serie bilingüe será de interés para estudiantes de ESL y también niños que hablan ingles, aprendiendo español. It's Raining Cats and Frogs usa palabras plurales y expresiones idiomáticas, explora la diferencia entre lo real y lo imaginario, y dedica a los niños que seleccionen la ropa mas apropiada para el clima húmedo.